Many people have been effected by cancer in one way or another and it is so comforting to know that there are charities out there who can help not just the cancer sufferer but the family too. I would like to invite you to come and support two very important charities who helped and supported our lovely friend Carmel Smith and her family and enjoy a great night of live entertainment. I am pleased to report 100% of all proceeds will be split between the Macmillian Nurses and St Leonards Hospis. 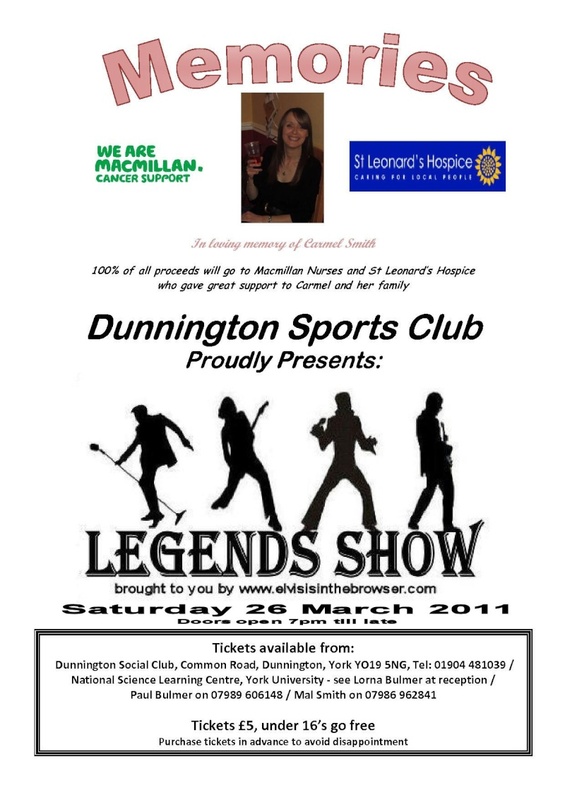 Many thanks to Dunnington Social Club and Tribute Artists who are providing their services for free. We would to see you there!